The afternoons are comfortable for garden work and there’s still plenty to do. This season, our cucumbers flowered and grew delicious. In the late July heat, the leaves turned yellow. By mid-August, all were dead. A gardener speculated that the double boxes were draining too quickly. So we added plastic liners with holes for drainage. We’ll report back next year. We planted ancho poblano, jalapeño, and Hungarian hot wax. The peppers had other ideas. Somehow, our medium-hot peppers are all mild. But they are delicious and, it turns out, appropriate for diverse palates. Lori is a Friend of the Garden at 485 Elm. She attends garden work parties when she can, puts in a lot of work, and leaves with food during the productive part of the season. We get the benefit of Lori’s company. Here Lori is holding a leaf wreath she made. 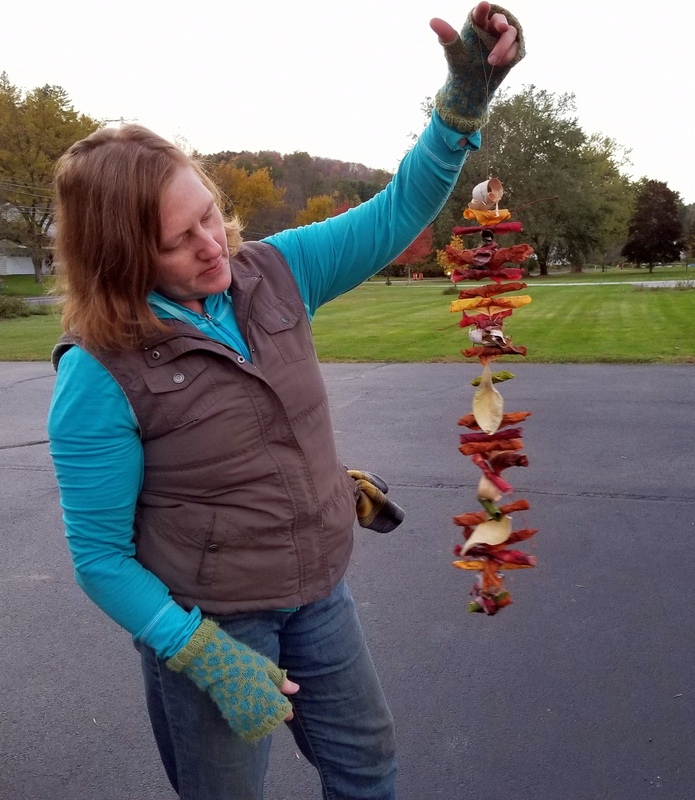 During leaf season, Lori teaches workshops at people’s homes and wherever there’s interest.